One more time we have witnessed how a determined good guy with a gun can save lives, this time it was an Illinois school shooter that had to be stopped. Do you remember what Illinois lawmakers proposed just one month ago? It’s a good thing for the innocent that they did not get their way. Our SWAT Fuel Warrior of the Week has a question about using airsoft guns for training. Can airsoft guns be valuable tools or are they just toys? Also, during our weekly Quiet Time from SilencerShop.com, Paul will consider outdoor quiet time and a few basic requirements. Thanks to Perrie Kreger for spending some time with Jarrad and Alex while he was in Salt Lake City. 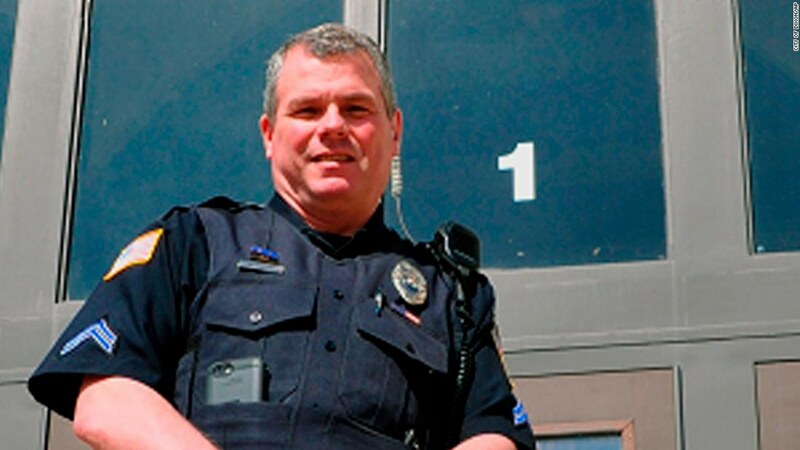 A school resource police officer is being lauded as a hero for intervening when a former student at Dixon High School opened fire Wednesday morning near the school gym where students were gathered for a graduation rehearsal, authorities said. The officer, identified by the city as 15-year department veteran Mark Dallas, shot and injured the gunman after the suspect fired at the officer while trying to flee, police said. The suspect, identified as 19-year-old former student Matthew A. Milby, was taken into custody, and no one else was injured in the gunfire exchange, authorities said. Late Wednesday, officials confirmed that they have charged Milby with felony aggravated discharge of a weapon and set his bond at $2 million. Illinois State Police said the investigation continues and more charges could be forthcoming. Officials with the city, which is about 100 miles west of Chicago, said the suspect was being treated at a hospital for injuries that were not considered life-threatening and was under 24-hour police watch. Authorities said the incident began about 8 a.m. when the suspect “fired several shots” near the gym. Dallas, who has worked as a school resource officer at Dixon High for five years, rushed to the area. He confronted the suspect, who then fled but, with the officer in pursuit, fired several shots at Dallas but did not strike him, police Chief Steven Howell said. Some Illinois lawmakers want to give extra money to schools that replace armed security officers with unarmed social workers and behavior therapists, an approach to safety that’s far different than a national push to add police or arm teachers following a mass shooting at a Florida high school. Rep. Emanuel “Chris” Welch, a Hillside Democrat, said he proposed the plan after hearing from advocates who argue that investing in mental health resources is the best way of treating the epidemic of violence. But the measure could be a tough sell, especially amid a widespread effort to employ more of what’s known as school resource officers ? fully armed law enforcement officers often paid for by schools. As of early April, 200 bills or resolutions have been introduced in 39 states regarding school safety, according to the National Conference of State Legislatures. More than half of these measures were introduced following the events in Parkland, Florida. Thirty-four bills in 19 states address regulations and training for school resource officers.